Michaels Stores Procurement Company of Irving, Texas, is recalling about 431,000 Ashland poinsettia stems and bushes in the U.S. and Canada. Mold may be present on the stems and bushes, posing a risk of respiratory or other infections in consumers with compromised immune systems, damaged lungs or an allergy to mold. No incidents or illnesses have been reported. 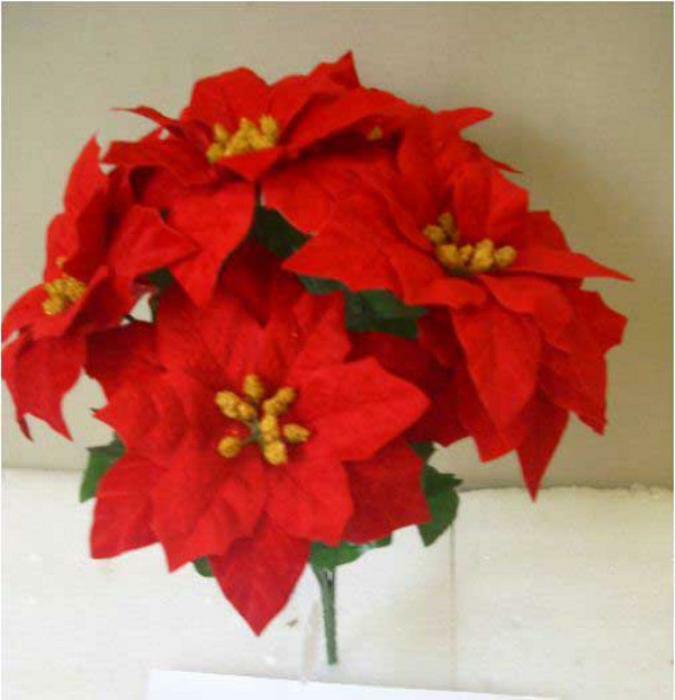 This recall involves Ashland artificial poinsettia flowers sold in single stems and bushes. The poinsettia has red leaves, green stems and gold-colored accents in the center of the leaves. A label affixed to the stem at purchase has SKU number 426830 on the single stem and SKU number 424066 on the bush. The Ashland logo is printed on a sticker attached to the product. The poinsettia flowers, manufactured in China, were sold exclusively at Michaels stores nationwide from October 2015, through November 2015, for about $4 for the stem and $7 for the bush. Consumers should immediately stop using the poinsettia flowers and return them to any Michaels store for a full refund.